Focus to be on geographies and verticals where it has market leadership. 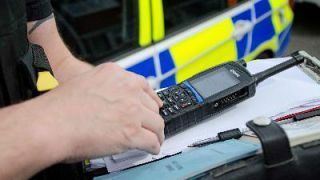 Sepura is to withdraw from the Digital Mobile Radio (DMR) market, the UK professional mobile radio (PMR) manufacturer and solutions provider, announced today (5 July 2016) as it revealed its financial results for the year ending 1 April 2016. The company, founded in 2002, made its name as a TETRA radio manufacturer, but decided to enter the lower cost DMR market in November 2013, partnering with Chinese PMR vendor Kirisun, which manufactures DMR radios to Sepura’s designs. However, the company is now withdrawing from the DMR space. The company has racked up a considerable amount of debt following its acquisition in May 2015 of Spanish PMR business Teltronic, along with the need for more working capital to run the business. Net debt rose from just €1.1m in 2015 to a whopping €119.4m at the end of the 2016 financial year. Sepura said its financial performance was also affected by: a softening in important markets; uncertainty over the transition to the Emergency Services Network in the UK; while oil and gas markets in Russia and Australia remained subdued; and weakness in the Brazilian economy is impacting ongoing projects. It also noted that its DMR and Applications business have not grown as rapidly as expected. As the company revealed in April, two major projects did not close in time at the end of the financial year. Sepura announced a £65m fund raising today, which CEO Gordon Watling said, ‘will significantly strengthen our balance sheet and provide the right capital structure to support our growth strategy’. Total revenue for the year was €189.7 (2015: €131.2m), while the Group posted a pre-tax loss of €19m (2015: profit €16.7m). However, the adjusted EBITDA figure showed a profit of €16.5m (2015: €15.0m). Teltronic made a contribution of €44.7m. Despite the overall financial performance in 2016 not meeting the Board’s expectations, Sepura said that the Group still reported a fourth consecutive year of double-digit growth in organic revenues. As of 1 April 2016, Sepura said it has an order backlog of €75m and its ‘strong pipeline of opportunities now totals €420m’. Sepura said it will narrow its focus to concentrate on those regions and verticals where it is a market leader and where there are more immediate cash generating opportunities, particularly in North and Latin America and in the Transportation market. The company said that the PMR market continues to grow with an estimated total spend by PMR users expected to reach US$16.5bn by 2017. Digital PMR now accounts for about 38% of the current 45 million PMR users today, with a further 11 million forecast to migrate from analogue to digital by 2019. TETRA technology now has some 3.7 million users worldwide (as of 31 December 2015). Sepura shipped 250,000 TETRA devices in the year, an increase of 15% on 2015’s figure of 217,000. Emerging markets such as Saudi Arabia received 63,000 devices in the period. Sepura now has an installed TETRA base of approximately 1.6 million devices in 120 countries. The acquisition of Teltronic has considerably boosted Sepura’s presence in both Latin America (revenues up 604% to €33.8m from €4.8m) and North America (up 227% to €7.2m from €2.2m). Teltronic’s Transportation portfolio now makes it the Group’s largest commercial vertical providing 10% of total revenues in 2016, up from 7% in 2015.